Pink bomber jacket = PINK LADY. Grease is one of my all time favorite movies, I could watch it everyday for the rest of my life if I had to chose one movie to watch... But really, I'm not joking. Who doesn't love Danny Zuko with that slick leather jacket and THOSE DANCE MOVES. When I got this jacket I felt like the happiest human on earth. Instantly, so many outfits were running through my head, "I could pair this jacket with this and this.. wear this jacket during this event.." Endless thoughts. 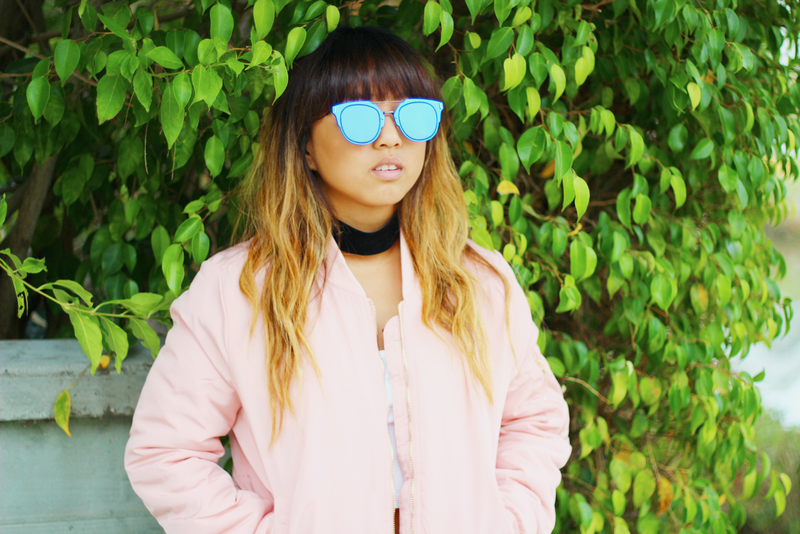 There's something vintage about bomber jackets which is why I put a little 90's chick flare to the pink lady outfit.